Just when we thought we’ve seen it all, a campaign on Kickstarter is raising funds for a smartwatch that lets you play classic Atari games right from your wrist. For the younger amongst us, Atari is the company which brought gaming into the living room with legendary titles such as Pong and Centipede. The Gameband smartwatch comes preinstalled with 20 of these classics, all of which have been rewritten for the 1:1 1.63″ display and touch gestures. In terms of hardware, Gameband is far from retro. The robust device comes with a square AMOLED 320×320 display, Qualcomm Snapdragon Wear 2100 processor, 512MB RAM, 4GB ROM, WiFi, Bluetooth and a 400mAH battery. In terms of sensors, the IPX4 rated splash-proof device houses a 3-axis accelerometer, gyroscope and light sensor. If 20 games is not enough, the device has upgradable MicroSD capability so you can download more. There are also some standard smartwatch features which include step counting, alarm notifications and remote phone dialing. Charging takes place through a USB Type-C port, which also helps you connect to a PC to play your classic games on the big screen. The gadget comes in three different editions, all of which broadly resemble the Apple Watch. There is simple one clad in black, a version in Atari’s signature red, and the last involving Terraria. 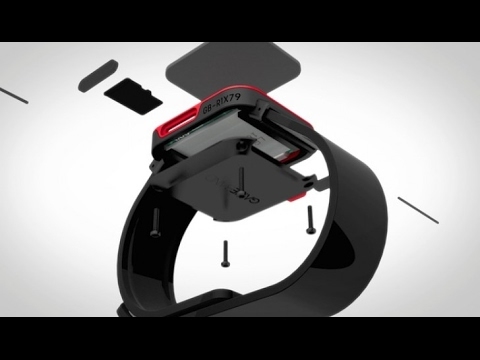 Gameband starts at $149 on Kickstarter and is shipping September.